At the turn of the millennium was when the Dubai based Egyptian found electronic music and since then has never looked back. Raxon's keen ear for blending genres of deep, tech and progressive house started to get noticed at countless parties which later lead to gigs in some of Dubai’s best and respected night clubs in early 2005. He later joined forces with the audio tonic crew at 360º (voted one of the top 100 best night clubs in the world as rated by the DJ Mag poll). He has quickly become one of the night’s residents proving he knows what the crowd wants to hear and when they want it here it. His track selection always ignites the dance floor leaving people wanting more, so week after week people return to 360º to hear more. 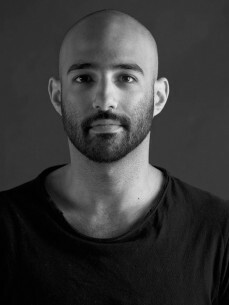 Having played some of the best events in the region, including Creamfield’s Abu Dhabi, he has been able to share the decks and play alongside some of the industry’s best DJ’s including John Digweed, Funk D’Void, SOS, Jimpster, Danny Howells, Luke Fair, Alex Dolby, Spirit Catcher and Jody Wisternoff to name a few. Immersing himself even further in the music, Raxon began producing and remixing in 2007 and has worked since with some of the industry's most respected names such as Nick Muir, Spirit Catcher, Sebastian Davidson, Scope and many more.. He has also released originals and remixes on some of the hottest international labels such as Baroque, Audio Therapy, Plastic City, Sick Watona, Night Drive Music, Witty Tunes, Discoteca Music & Replug.